Savvy Procurement leaders understand that Procurement involves so much more than Googling for potential suppliers, asking them for a quotation and then selecting the lowest-priced quotation presented. First, you have to have a Procurement Strategy. Doing things like asking for quotations, negotiating terms and price with suppliers are just tactics. Without a proper Procurement Strategy, doing these things is meaningless. Having a good Procurement Strategy gives you the reason WHY you are doing these things (tactics). And the beautiful thing is you don’t have to start from zero, you see there’s a formula (or framework if you like) that you can follow to setup your own Procurement Strategy and system for your business without having to re-create everything from nothing. 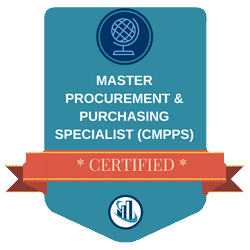 …and that’s exactly what you get with the Certified Master Procurement & Purchasing Specialist (CMPPS)™ training. Glad I attended...The course was presented professionally and is internationally recognised as a good course. You have a clear formula to follow when it comes to finding, evaluating and selecting suppliers and building up a top-notch Procurement team. 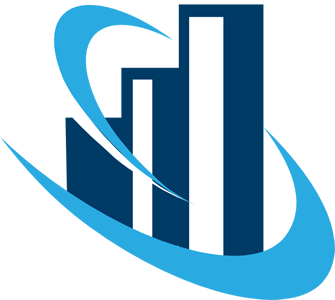 You regularly have access to what is the latest strategies and tactics working in Procurement. You lead your Procurement team with absolute confidence knowing your skills and knowledge are backed by proven concepts and formulas and a “mastermind” of like-minded individuals and peers. You have a clear framework for your on-going Procurement strategy in your company. With this training you’ll gain confidence in your job. Ethan Hathaway is also a British Accreditation Council (BAC) accredited international Centre. To become BAC accredited, we undergo a rigorous inspection and assessment to show our devotion and commitment to ensuring we provide YOU with a quality training result. Certification Exam – You must pass the certification exam in order to receive the additional Certified Master Procurement & Purchasing Specialist (CMPPS)™ designation & certificate. 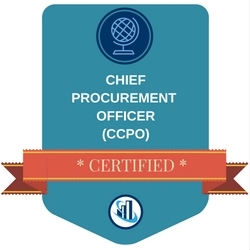 Who should enroll in the Certified Chief Procurement Officer (CCPO)™ training course? This course is an intermediate to advance level. For Foundation level Procurement, please see the Certified Procurement & Purchasing Specialist (CPPS)™ course. “Frankly, it’s an awesome training course it was the most useful course I have. The case study and demonstrations of the topic is directly issued by the simplest way, thanks all. Course notes, slide decks and resources for your future reference. After completing the training, you receive a gold-embossed Ethan Hathaway certificate of completion to mark your achievement. This digital badge designates you as a Certified Chief Procurement Officer (CMPPS)™, which you may use on business cards, resumes, LinkedIn profiles, website profiles, email signatures and more. In addition to the Certificate of Completion for the course in general, if you successfully pass the Certification exam, you also receive a CMPPS™ Certificate to mark your achievement. As part of your successful certification, you also receive a full year's access to the Procurement Bulletin Membership to help you keep up-to-date on the industry issues. In order to keep your status as a CMPPS™ in good standing, you need to regularly take Continuing Professional Development courses. We could charge $10,000 and it would still be of value because think of all the financial returns you gain from knowing how to manage your business operations like a well-oiled machine. …if you book your seat by the Super Early Bird deadline, your investment is only $2798. You get at least $19,534.28 of value for just $2798. At the regular fee, it comes to just $10.95 per day…the price of a lunch! …the live course is limited to only 25 seats and we send out an announcement of this course to our internal list of 97,439 contacts in our database (this doesn’t even include new contacts we add to our list through external advertising & promotions too). ...the doors close on enrollments on... (see the course info booklet for the registration deadline for the session you're interested in) or if all twenty-five seats are gone, whichever comes first. Please note, by not taking the certification exam, you are not eligible for a badge, membership, nor the relevant designation. And finally, we are a British Accreditation Council (BAC) accredited international training centre.